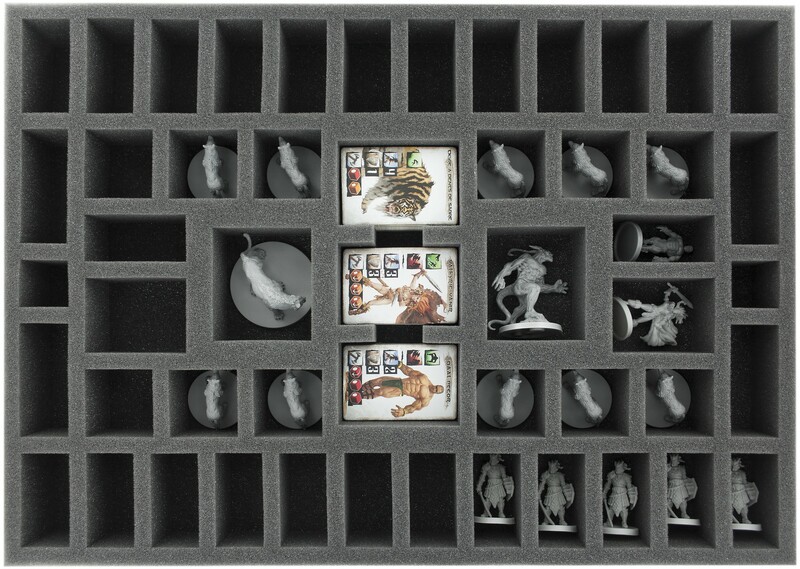 Especially foam tray for the Conan Kickstarter EXCLUSIVE ADD-ONS. 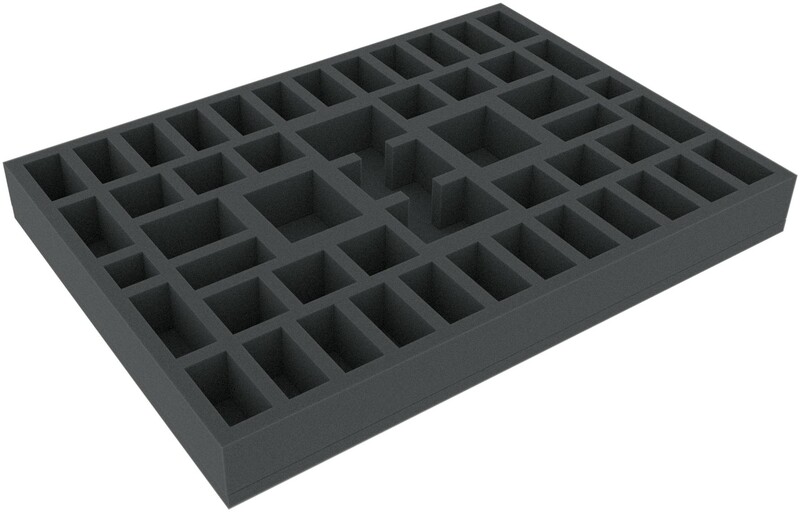 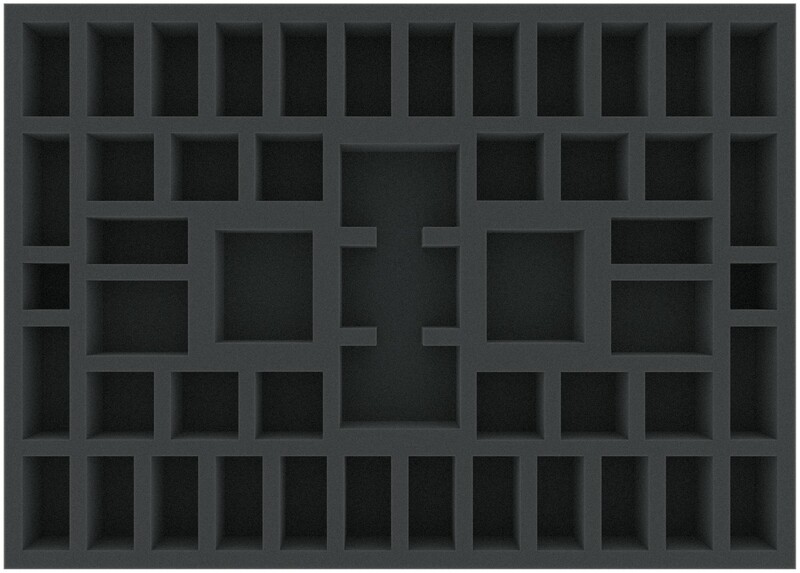 The foam tray with 49 cutouts can hold the Kickstarter exclusives: Giant Wolves, Vanir Valkyrie!, Sabretooth-tiger, Baal Pteor, Black Dragons and an Demon of the Earth. 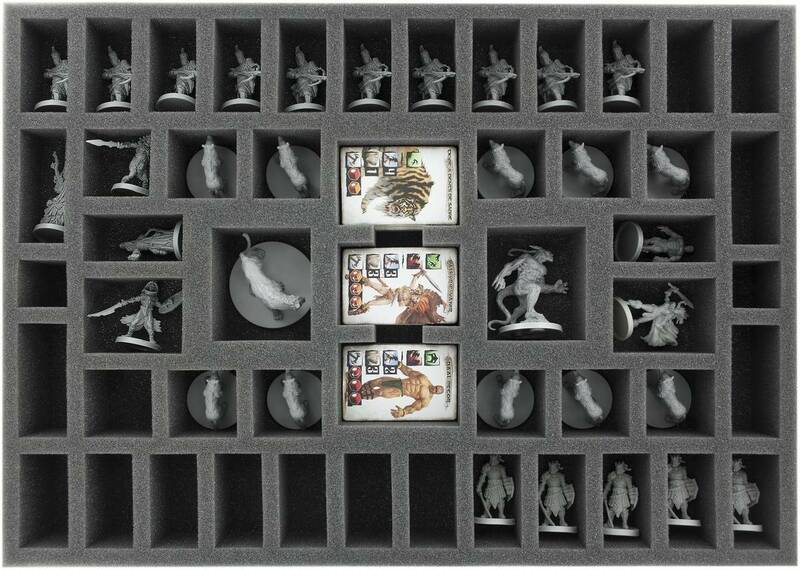 In addition there is space for 29 more miniatures. 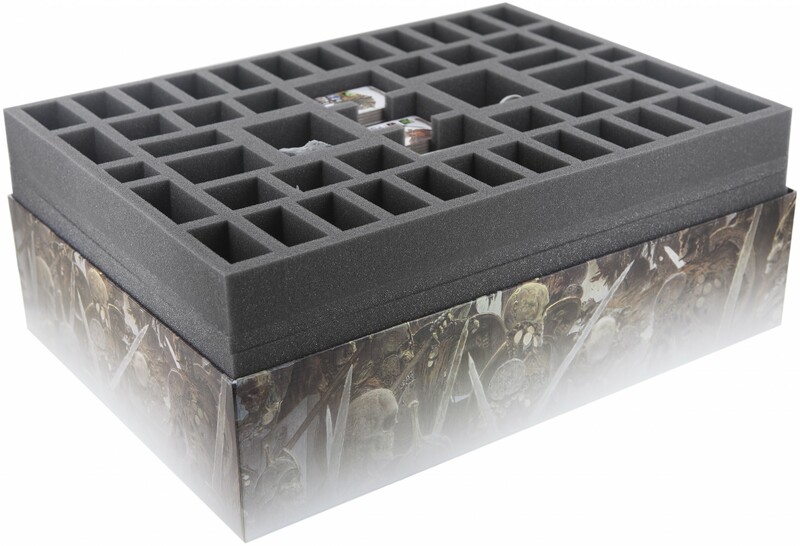 The foam tray fits excellently into the original Conan board game box and in the Conan stretch goals box.